So last week I introduced this series where I try to explore the different normal forms by breaking them in absurd ways. This time I’m talking about first normal form. Think of relations as tables and simple domains as column spaces that are atomic (i.e. can’t be decomposed). And so today’s ridiculously un-normalized database example is from that paper. But in 2005, SQL Server introduced the xml data type. And my take is that it’s good… mostly. It’s as good as long as you treat as an atomic value (i.e. non-decomposable). We can think of an xml column as just a string column with a constraint that makes it well formed xml. And that’s not terribly different than an integer column with a constraint that enforces that values are not negative. XML columns are perfect for software messages (like SQL Server broker messages). And they’re great for serialized objects (like query plans). XML is the most decomposable data type I can think of and when we treat these columns as non-atomic, then the tables that contain them are not in 1NF. It’s certainly not what E. F. Codd had in mind when he designed the relational data model. I’ve found that trouble comes when we try to query it or when we modify it in place. Because then we’re not treating the xml as atomic. And then the shortcomings of xml columns inside a database become very apparent. In SQL Server – as of 2005 – there are ways to query xml values or modify xml values such as when we use xml indexes and when we use XQuery. We find complicated code down this road and performance issues that are just as complicated. 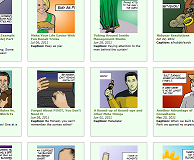 What happens when we want to look at information inside the plan cache? Look at Finding Implicit Column Conversions In The Plan Cache by Jonathan Kehayias. It’s a good demonstration of how complicated solutions are necessary when dealing with XML inside SQL Server. Or look at my own experiment with XQuery: View Blocked Process Reports using the Deadlock Graph Control It’s an article of mine that gives a crazy XQuery solution to an unimportant problem. Do you have opinions on 1NF or the history of databases? It’s all fascinating stuff. Let me know in the comments what you think. I’ve got a bunch of ideas that can’t fit in one article and your comments might let me know what to continue writing about. 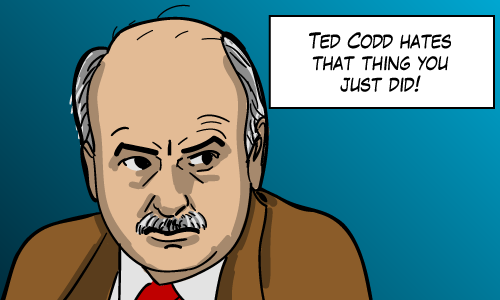 Are you interested in giving a presentation titled “Ted Codd Hates That Thing You Just Did”, with pictures of grumpy Dr Codd throughout? Cause I’d pay money to see that one. 🙂 And I’m sure I’d learn a whole bunch of useful things, too. Oh, man that would be awesome. Sometimes we have to store XML in the database because it’s the fastest way to return XML to a calling application. Shredding and building XML in SQL Server is computationally expensive. Storing it as XML is cheaper. I think we’re on the same page Jeremiah. Every point you’re making is in-line with 1NF. The XML data type isn’t bad at all. I mean XML is a great data type being essentially a nvarchar(max) with a well-formed-xml constraint on it. And of course we wouldn’t want any jerks putting text in that column. But if we ever find ourselves modifying the xml values in place with XQuery. Or even modifying a set of XML values in place, then it gets pretty hairy. Your #3 is a kind of fuzzy area because it’s not treating the data as atomic. The definition of normalization doesn’t mention indexes at all, (being an ordering of data) but it certainly serves a business purpose. Who knows what Codd would say about that, but Michael J Swart gives it a thumbs up. HAHA! If you don’t like discussion about using XML, don’t attend my muddy data talk. I’m reading C. J. Date’s newest book and it’s interesting to read what he thinks of some of Mr. Codd’s ideas. One of Date’s more interesting points is that the reason to understand normalization is so that you know when not to normalize. All this contention is so wonderful…. Every design option has its place, given the right cost, benefit and risk. It’s only a problem when people use a solution for the wrong reasons, they are surprised when they don’t get the benefits they thought they were going to get. Thanks for the plug. I love doing that session. I hear people in CLE are especially contentious, so it should be good. I was looking for such kind of blog for a long time which can explain normal form in clear and concise form. thanks man this is indeed very useful , waiting for next one. I’m glad you like it. The Wikipedia pages explain the normal forms a bit better (or at least more thoroughly) than I do. But I’m having fun coming up with the examples. 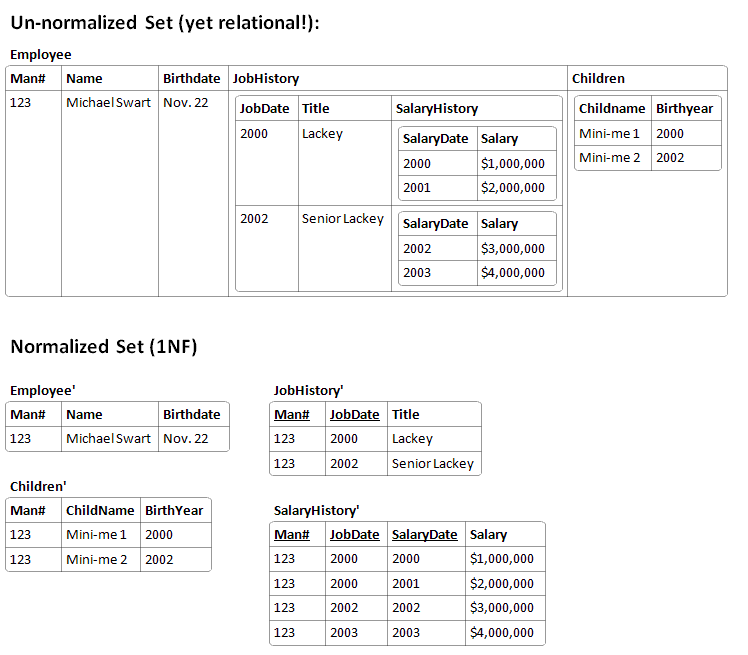 Nested tables are part of standard SQL and some DBMSs do support them (Oracle for example). Relations are values and so there’s no fundamental reason why relations cannot be nested within relations. In principle therefore, nested relations are not a violation of 1NF which simply requires that each attribute consist of single values. Chris Date and others have argued convincingly that there is no sound reason for excluding certain types of value from the relational model – doing so would only weaken it rather than strengthen it. I actually did not know that Oracle could store nested tables. But I knew this topic would come up. E. F. Codd’s definition of normal form was more of a process than an academic definition. And I knew Chris Date wrote about it and qualified that. That’s why I took my example straight from E. F. Codd’s paper. If that doesn’t violate 1NF then nothing does. But you’re right. “In principle therefore, nested relations are not a violation of 1NF” But all the same arguments for and against including XML values in SQL Server apply. Well, here’s the fun part: SQL violates relational theory in a number of ways. NULLable datatypes are expressly disallowed. A relation variable contains an unordered set of tuples. Every tuple must have the same number of attributes and every attribute must have a value. A NULL isn’t a value, it’s an unknown (toaster != house cat). Therefore, any system that allows NULLs isn’t compliant with relational theory. Don’t let the implementation problems of SQL muddy the waters of relational theory. One is software, the other is math. That’s so true. I think I’m a pragmatic guy. And I’m 100% on board when you said it’s important to know these normal forms so that you know when not to normalize. It’s like chess, it’s a great rule of thumb to protect your King, control the center, develop the minor pieces and castle early. But knowing why they’re a rule of thumb lets you know when to break those rules. It’s just that following normal forms avoid so many problems. At work, I’ll come across 15 problems that could have been avoided with a normalized schema for every one problem that could have avoided with an unnormalized solution. There’s links at the top. I’m surprised you’re having trouble. Maybe I’m missing something.